I have always said that I cannot justify spending more than Rs. 25,000 on a smartphone, and this belief began when I had started using the Nexus 4 as my daily driver. The phone was not without its set of flaws, but it did one thing very well – work how an Android smartphone was supposed to work. Over the past year, we have seen the launch of some impressive smartphones in this price bracket, that have justified my claim. 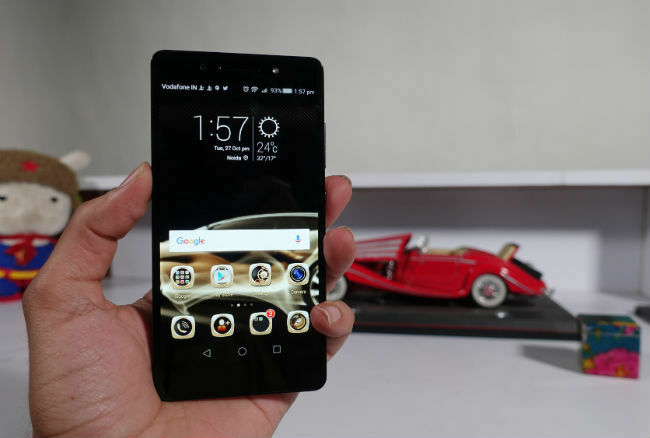 We have smartphones like the OnePlus One, OnePlus 2, Asus Zenfone 2, and many more. Sure, the flagships available in the market command their price for a reason, but it is fair to say that a budget of 25k is more than enough to get a functional Android smartphone package. 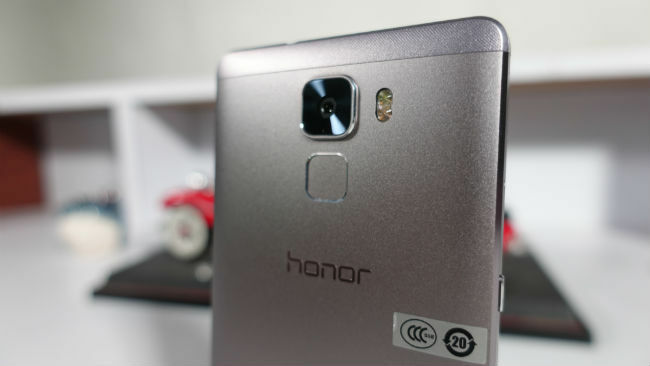 Here we have with us the Honor 7, which is priced at Rs. 22,999. Does it stay true to the nature of smartphones priced under Rs. 25,000? Well, the short answer is yes, but there is more to it than what meets the eye. When OnePlus launched the One, the smartphone had a sandstone-textured back which was not only a first for smartphones, but very unique and attractive, too. The Honor 7 is not the first smartphone to have an aluminium body, but the way the smartphone is constructed is beautiful. It doesn’t feel very heavy in hand and is a little thick at 8.5mm. However, that is not a bad thing, because the phone feels solid when you hold it, and it really is very well constructed. The face of the device is clean, with no buttons. The back, home and multitasking buttons are part of the display, just like you’d find on a Nexus smartphone, and that’s the way I like it. Above the display we have the earpiece, the front-facing camera, and an LED flash. The back has the fingerprint scanner, neatly placed below the rear camera. 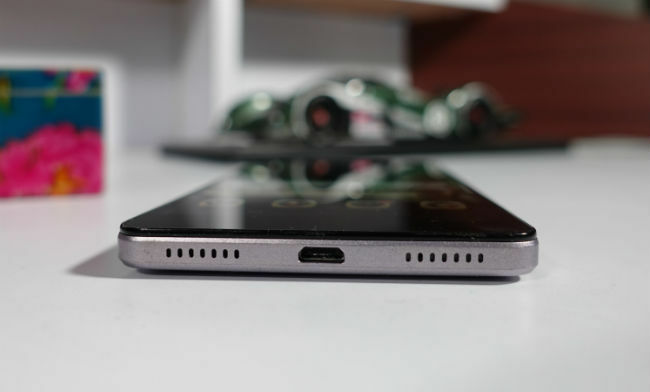 The bottom of the smartphone has the microUSB port along with two speaker grilles and one functioning speaker at the base of the smartphone. The power button is to the right, along with the volume rocker. The power button has a textured finish to it, making it easy to identify and locate, without looking at the phone. To the left, we have the SIM tray, that also houses the microSD card slot. Below this, there is another button called the 'Smart Key', that can be customized. For example, I customised the button to open Facebook with a single tap, Google Maps on double tap, and the Play Store on long press. It is really neat, if you have three applications that you would like to access straight from the lock screen. In theory, the button is ideal, but in reality, it can get a little annoying at times. I found that while removing the device from my pocket – in case of any unintentional taps before and during unlocking the phone, the first thing I would come across was Facebook. It’s a slight inconvenience, but the idea behind the button is good. Overall, the build of the smartphone is premium, and feels very good in hand. The good old candybar form factor, combined with the aluminium build, makes the device not only look premium, but feel premium as well. It has got enough weight to make it feel sturdy, but is not heavy, and I’m confident that I could hit someone with it and cause damage to the person, while nothing would happen to the phone. Doing so, however, is not exactly recommendable. I am among those that love Android's stock appearance, there is something magical and fluid about it. Having used a number of smartphones with custom interfaces over Android, I still find myself reverting to stock android in a heartbeat, even though some of the interfaces are quite good. The Honor 7 runs on Android 5.1 Lollipop with its custom EMUI 3.1 overlaying it. Honor has packed in a lot into this UI. To begin with, there is no dedicated app drawer, which means that just like iOS or Xiaomi’s MiUI, all the apps are listed on the home screen. You can club apps into folders, if you like. Every time a new app is downloaded, it has an eye-catching glitter to it, which remains for a while, at least until you click on the app. The smartphone has voice wakeup, which is very similar to 'OK Google', which we have seen on the Moto X, but its performance is a hit-or-miss. Sometimes, my device responded, while at other times I made a fool of myself, whispering “Dear Honor” while looking at my phone. The Honor 7 brings with it a bunch of motion controls too, like flip to mute, pick up to reduce the volume, pick the phone up to your ear to answer a call, shake the phone to make the icons giggle and rearrange the apps, double tap the display to wake it up, and the likes. There are enough features here to keep you busy for a while, but I’m pretty sure you will pick the ones that suit your needs the most and forget about the rest quite soon. 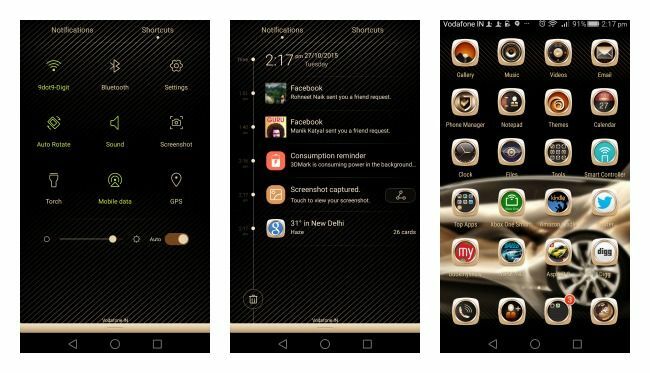 There are also a bunch of themes at your disposal that lets you customize the Honor 7, but nothing on the lines of what Cyanogen offered with the OnePlus One. Overall, Honor 7's UI is very interesting. If you ever get bored, there are many themes available in the themes app to change the visual palate, but nothing more, really. The best thing is that it’s a consistent UI with no bugs and glitches, and the only complaint that I have is the occasional app crash. On hindsight, the only app that crashed was Google Maps. 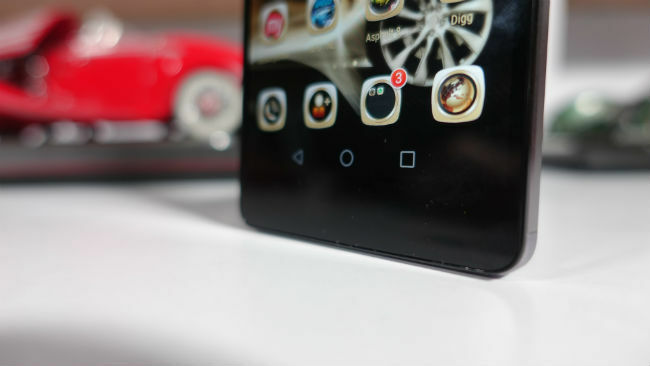 Coming to the display of the Honor 7, the smartphone has a 5.5-inch 1080p display. The viewing angles on the display are good. A few people huddled around the display to watch a video, and none of them complained about shifting or unreal colours. In our test, we watched a number of videos on the Honor 7, and for the most part, it worked fine. In outdoor viewing, I had to ramp up the brightness manually to get the job done, and sunlight visibility is quite decent. Tallking about the Honor 7's colour reproduction, it is quite rich, and despite high contrasts and enhanced saturation, the colours are fairly true-to-source. Watching videos, playing games and reading books on the Kindle app looked really well. There was a point when the display shifted more towards the cooler tone, but that possibly happened because of messing around with the colour settings. "A beauty and a beast" is the best way to describe the Honor 7, or rather, the beast with beauty that gets very hot. The heat generated after high octane usage is the only real downside to the Honor 7. I had Google Maps on for about 20 minutes to help me navigate. In the same 20 minutes, I sent a few texts, checked Facebook and answered a call or two, and the phone was ready to fry an egg for me. Getting the specs out of the way, the device has a 5.2-inch 1080p IPS-NEO LCD display, and runs on the HiSilicon Kirin 935 chipset. The CPU is an octa-core processor with quad-core 2.2GHz and quad-core 1.5GHz core clusters. It has 3GB of RAM, with 16GB of built-in storage. The only downside is the amount of storage on offer, which can get over fast, if you download a lot of apps, or store a lot of media, locally. The ability to expand storage is a big help in this case. The rear of the device has a 20MP camera, and the front has an 8MP camera. A 3100mAh battery powers the smartphone. Setting up the fingerprint sensor is a breeze. I think I set up the fingerprint scanner wrong the first time, because of which it took a couple of tries for me to unlock the phone. Once I re-synced it, unlocking the Honor 7 was as easy as touching it – quite literally. You can also use the fingerprint scanner to bring down the notifications menu. Although that’s not ergonomically convenient, it was fun to show off this future to my friends and family. Moving on to the basic functionality of a smartphone – calling. It works. It just works, and that’s a very good thing. The volume isn’t too loud even at full volume. The dialer app has calendar, notepad and contacts as a part of it, and these are the features that I use the most when talking to someone – take a note, check the calendar, share a number, or add someone to the call. The dialer really works, and I haven’t been this excited about a smartphone dialer since the old school analog dialer. Another interesting feature of the Honor 7 is the built-in universal remote. Yes, the smartphone has an IR blaster, and it comes with a universal remote control app. I controlled my WD TV live with the app, and it works very well. The difficulty lies in setting it up. For example, I have a Daikin air conditioner. The first thing the app asks you is to point your smartphone to the device (in this case, the AC) and press a button on the display. There were 66 options for the Daikin AC, and after exploring nothing short of 40 options, I was tired, and downloaded third party universal remote apps. Apart from that, the fact that there is an inbuilt universal app is great for those nights when the battery of the remote dies at 2AM, and you don’t have spares at home. 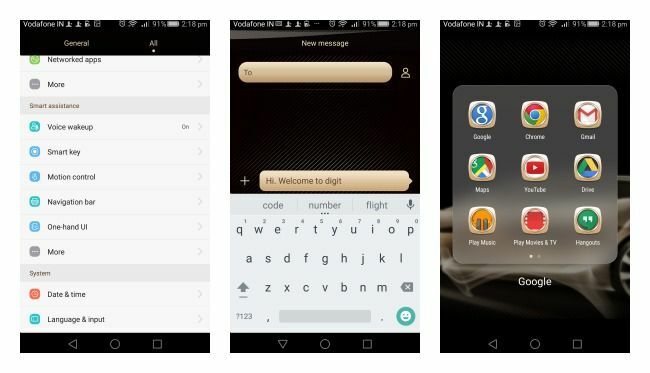 When you start using the smartphone for the first time, it has the SwiftKey keyboard, preinstalled. The first thing that I did was switch back to the regular keyboard, and found myself with a peaceful typing experience. The heavy weight of the device and ergonomics of the smartphone are good to give users a comfortable grip for typing on the phone. Coming to entertainment, I watched a lot of movies and YouTube videos on the device. The viewing angles of the display are good. The display is crisp and the reproduction of colours is good too. The only downside is that, at times, holding the device in a particular way meant that my hand cupped the speaker and muffled the audio. Apart from that, the device is good for enjoying entertainment. The Honor 7 is not the loudest smartphone as far is audio is concerned, but it is good enough. Here is a look at how the smartphone competes with other devices in our standard slew of benchmark tests! Coming to the battery life of the Honor 7, it is decent. On absolute heavy usage which involves a lot of screen time, the device lasted till 6pm on my usual day at work, whereas other phones have died by 2pm. On an average, don’t expect two days of uninterrupted service, but you can last an entire day of heavy use for sure, and that is a very good thing. As we’ve mentioned earlier, the rear of the Honor 7 has a 20MP camera, and an 8MP front camera. Both the cameras are accompanied by singular LED flashes. The rear camera takes some brilliant shots in well-lit conditions. In low-lit conditions, you will see a notification which says 'processing', and it's worth the one-second wait, as the images produced look really good. The front-facing camera deserves special mention too, for being crisp and clear with pictures. The flash is of good texture, and is great for selfie-lovers persistent with their hobby even in poorly lit conditions. You can take a look at our detailed test of the Honor 7 camera, here.